Although the weather is beginning to cool down around the country, diving remains a popular sport in Southern California. Indeed, lobster diving takes place with frequency at this time of year. 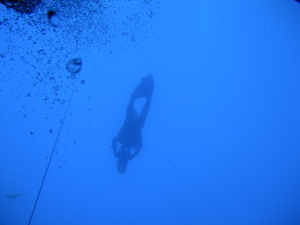 However, fatal diving accidents occur too often, and many of these deadly accidents are preventable. If you lost a loved one in a diving-related incident, you may be able to file a wrongful death claim. According to a recent article in CBS’s KUTV2, a vacationing physician was recently identified as the victim of a deadly diving accident off the coast of Orange County. The victim, Jared Royer, 40, was on a lobster-diving vacation with a group of other physicians. Royer’s brother-in-law indicated that it was an annual trip, and Royer “was an experienced diver who had been on several similar trips with his colleagues in previous years,” according to a report in The Spectrum. The group was diving in Emerald Bay late in the evening, and around 11p.m., the other physicians noticed that Royer had not returned to the boat. Royer was an anesthesiologist, and he worked in the operating room and birthing center at a Southern Utah hospital. In addition to his work and prior diving experience, he was an “accomplished triathlete” who had also run the Boston Marathon. What happened off the coast of Orange County, then? While autopsy results are pending, early indications suggest that Royer “may have run out of air and made a rapid ascent.” The accident happened on the third day of Royer’s dive, and according to the other physicians in the group, he was in about 110 feet of water at the time of the incident. Royer made it to the surface and called for help, but the other divers could not locate him afterward. After nearly 70 hours in which search and rescue officials from Los Angeles County attempted to locate him, including the Los Angeles County Fire Department dive team, divers from the Los Angeles County Sheriff’s Office, and the U.S. Coast Guard, Royer’s body was found nearly 100 feet underwater at around 11:30a.m. Since lobster season began on September 27th, Southern California has experienced a striking number of diving-related deaths. While diving fatalities are more common among inexperienced divers or those with existing medical conditions, these dangerous accidents can happen to anyone. As of October 2nd, five deaths were already been reported, according to Fox 5 San Diego. Four of those deaths occurred at night during lobster-diving excursions, and one of the deaths resulted from a diver’s medical complications. Royer was the fifth fatality reported in just about a week’s time. Rapid ascent or violent movement in the water. While the overall risk of death during scuba diving is low (only 1 in every 211,000 divers suffers a fatal injury, according to the DAN), nighttime diving in Southern California can prove deadly. If you lost a loved one in a diving accident, do not hesitate to contact an experienced San Diego wrongful death lawyer. You may qualify for compensation.